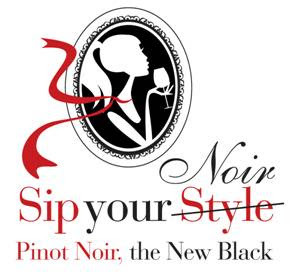 Discover what makes Pinot Noir one of the most stylish and supple red wine sips today at the Sip Your Noir: Pinot Noir, the New Black event, co-hosted by online drinks publication Sip Your Style and wine/lifestyle PR specialists, White Ink. 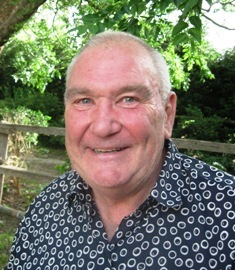 On Friday 19 October during the Crave Sydney International Food Festival (SCIFF). Sip Your Noir provides an opportunity to sip on over 20 stylish Pinot Noir wines from some of most iconic wineries in Australia & NZ including Akarua, Brokenwood, Brown Brothers, Grant Burge & Holm Oak. Pinot Noir, or simply 'Pinot' as its referred to by its devotees, is definitely the next big thing in red wine, loved for its medium-bodied, cool-climate elegance and finesse; and broad spectrum of flavours – from bright red cherry fruit characters, to earthy and savoury goodness. Be seduced by this lighter style of red wine with timeless appeal – definitely the new black. "Pinot Noir is arguably one of the most popular red wine styles being sipped by the stylish set, with its origins in Burgundy France," said Katrina Holden, editor and founder of Sip Your Style. "We'll present a broad range of styles to explore, from Tasmania, Victoria, Western Australia, New South Wales and New Zealand. What many tend to love about Pinot is its light-to-medium body, making it an ideal choice for those craving a lighter-style of red wine still packed full of complex flavours," said Katrina. "Pinot Noir is becoming a hot favourite as a go-to when craving a lighter style of red. My thoughts are as the event title suggests 'Pinot Noir is the new black'. So why not showcase a range of Noir for all Pinot Noir lovers," said managing director of White Ink., Kylie White. Sip Your Noir (and all three events) will be hosted at a funky and cool secret location in The Rocks setting the mood for a Friday night of stylish indulgence and discovery. In addition to the wines, the event will feature musical beats creating ambience; reasonably priced and themed food from a food vendor; and wines enjoyed in Riedel glassware. Sip Your Style and White Ink. have partnered during the popular SIFF festival in October on this event, Fifty Shades of Gris and also Sip Your Modo: Australian flavour, Italian style (Fri 7 Oct); and Sip Your Noir: Pinot Noir, the New Black (Fri 19 Oct). Highly publicised, SCIFF is presented by Citibank and is a landmark on the Sydney calendar, enhancing and consolidating Sydney's status as a world-class food city and global dining destination.